In February, many of our members completed a Provider Readiness Assessment for Dale Jarvis and Associates to help us know where we are starting from when looking at Payment Reform projects. Dale’s final report is now available. Please review and send your comments to Bahney Dedolph at bdedolph@azcouncil.com. There were two presentations at the ASU Center for Applied Behavioral Health Policy Summer Institute by Dale Jarvis about payment reform in Arizona. They are below. Dale is still interested in your feedback on the Toolkit. Please review and comment. This is the link to the Arizona Behavioral Health Payment Reform Toolkit. Please check it out and provide us with your feedback by contacting Bahney Dedolph at bdedolph@azcouncil.com or 602-252-9363. Following consultation with Dale Jarvis and company, the payment reform steering committee, and state agencies, it became evident that we need to look at another redesign of the Payment Reform Toolkit work that we are doing. We are eliminating the work groups and related webinars. We will have a full report on the readiness self-assessment soon—thank you to all who participated. We will have a Payment Reform Toolkit 101 rolled out on a fast track. The readiness self-assessment work with the RBHA’s will continue as planned. Following RBHA completion of payment reform plans, those models will be incorporated into regionally specific Payment Reform Toolkit 201. Technical assistance will be available to providers to support their transition to the new models. 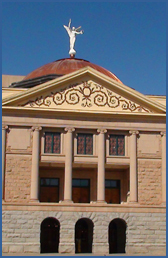 The Arizona Behavioral Health Payment Reform Toolkit project is moving forward! The self assessment information is below. As the Arizona public behavioral health system transitions to the new RBHA design, all RBHAs will be required to implement payment reform initiatives that help the Medicaid system transition from paying for volume to paying for value. We have designed a self-assessment to gather data on the Arizona behavioral health delivery system’s readiness to participate in this effort. Identify a lead for this mini-project. The lead reviews the survey and decides who should be on the ad hoc team to complete the self-assessment *See NOTE below. (1 hour). Give the survey to each person on the ad hoc team and have them read it (30 minutes per person). Meet as a small groups to answer as many questions as possible and determine homework assignments to answer the rest of the questions (1-2 hour meeting). Everyone complete their homework (1 hour per person). Meet a second time as a group to finish the answers and do a final review (1 hour meeting). *NOTE: After reviewing the survey questions, decide whether it’s best to complete a single survey for your organization or whether you should complete separate surveys for different program area. Consider completing more than one survey if the answers to several questions are dramatically different for different program areas. Once again, the survey is available at https://www.surveymonkey.com/s/WYYMX2H and must be submitted by Friday April 3rd, at 5pm. There are resources from the Arizona Behavioral Health Payment Reform Toolkit Boot Camp. If you have questions about this project, please contact Bahney Dedolph at bdedolph@azcouncil.com or 602-252-9363.